The Victoria Theater, at 825 University Av., was one of three University Avenue movie theaters that catered to Frogtown children and families. The other was the Faust at University and Dale (see tour Frogtown: Lost Frogtown) and the Centre Theater near Lexington and University. The Lexington’s building at 1080 University Av. later became the Lexington Branch of the Saint Paul Public Library and then the Central Corridor Resource Center. It is currently eyed as a redevelopment site. The Victoria Theater building, with beaded brick on its façade, was designed by noted architect Franklin Ellerbe. What makes the Victoria Theater historically significant is its colorful past as a nightclub and in American music. The Victoria Theater opened in 1915 for movies and live performances, but became a nightclub less than a decade later. The nightclub was known as the Victoria Café and later Casa Grande. In 1927 the recording “Moonshiners Dance: Part One” was recorded there, by the Victoria Café Orchestra. A history of the Victoria Café, Moonshiners Dance and the recording’s influence on and role in the history of American folk music is on the blog Celestial Monochord (see link below). Moonshiner’s Dance is the only one of 84 recordings in the Anthology of American Folk Music not recorded in the American South or Chicago. The anthology has inflected many American musicians. The nightclub itself was a speakeasy during Prohibition and was raided at least twice by federal agents during that era. It became a target of political leaders who wanted it shut down. Some suspected anti-Semitism in the attacks on the club and its ownership. 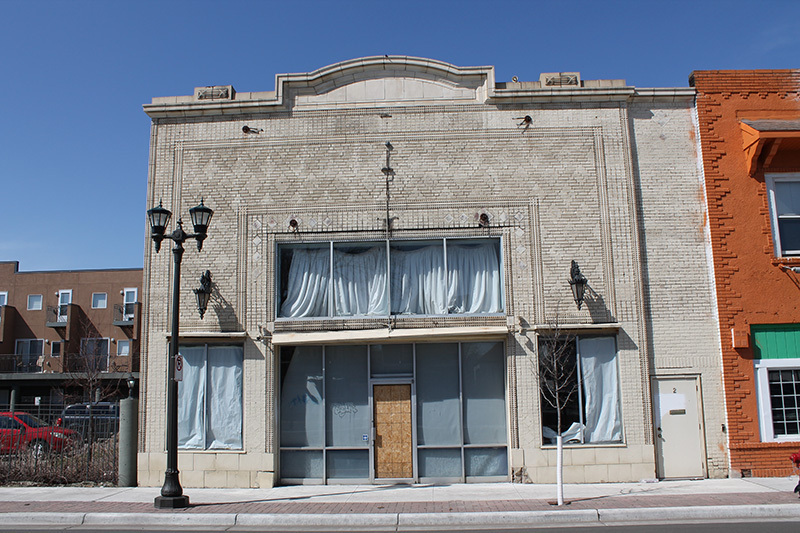 The building was later reused by a number of different businesses but has been vacant for several years. The St. Paul City Council recently granted the structure local historic designation status. Reuse as a neighborhood art center is being considered. Jane McClure, “Victoria Theater,” Saint Paul Historical, accessed April 18, 2019, https://saintpaulhistorical.com/items/show/171. For more information on the history of the Victoria Cafe, Moonshiners Dance and the recording's influence on and role in the history of American folk music, visit Celestial Monochord.